This male patient in his 60's had approximately 3000 cc of fat removed from his flanks and abdomen with Tumescent Liposuction. 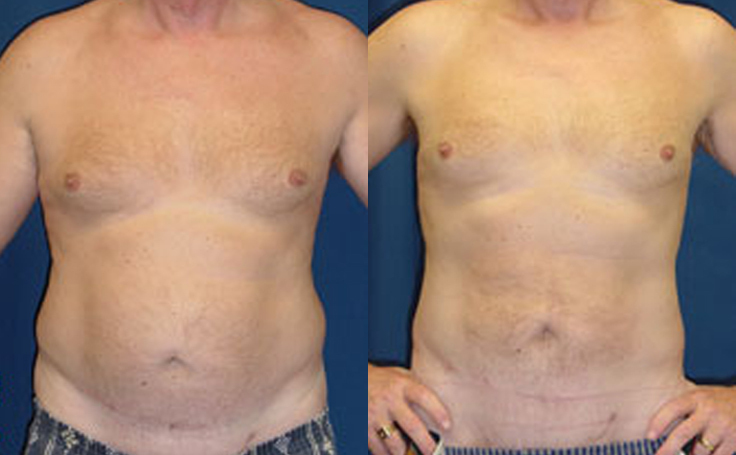 This patient is in his 60's and had Liposuction performed on the abdomen and flanks. 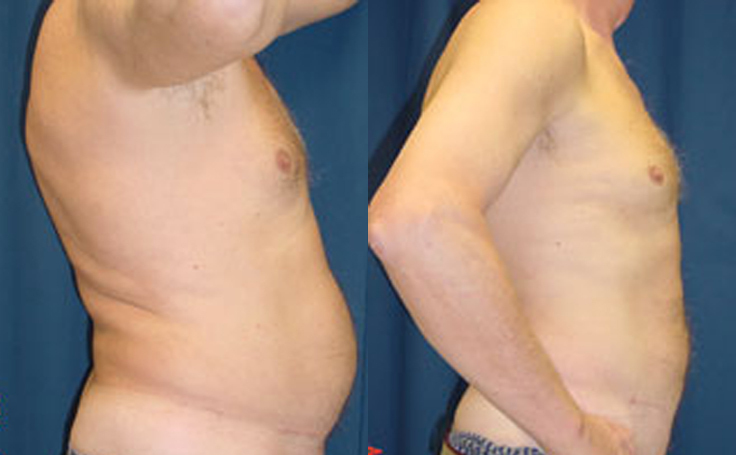 The procedure gave the patient a flatter and firmer stomach. Liposuction can be used to target several different areas on patients, including the stomach, flanks, thighs, arms, and chest.